My Aggie friend, chamber champion and realtor professional is an an exceptional leader. Our home buying experience and journey could not have gone any better without her knowledge, caring attitude and sense of humor. It was a true joy to work with her and the Keller Williams talented staff. Thanks, Christi, Wayne and Katie. Super job! We loved every aspect of working with Christi Greene when we built and bought our house! I, personally, would have never thought we needed an agent to help with our build as we were working directly with the builder. We were so fortunate that Christi educated us on the benefits of having an agent on our side during the process to make sure all went smoothly and we had our needs met. She championed for us and we are so grateful! There were so many details to be taken care of that we were able to give to her giving us the piece of mind that we would get what we desired. Christi is one of the most knowledgeable agents I know helping to make sure that her clients get the most out of their buying/selling experience. She is also one of the most well networked agents, so she will provide you with amazing specialists that will help you get what you need to get done! She also balances her professionalism with her humor and light-heartedness, making for a well-orchestrated process (that can be somewhat grinding) that is full of laughter. 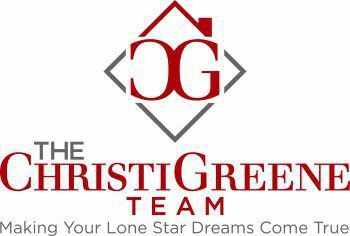 We cannot recommend her enough!We loved every aspect of working with Christi Greene when we built and bought our house!